Heroes of Might and Magic® 5 is a turn-based strategy game in which you can build cities and besiege them, train troops and slaughter them, and explore new lands – and crush them under your iron heel. You directly command your armies on the battlefield and aid them with your character’s abilities as well as your own strategy skills. 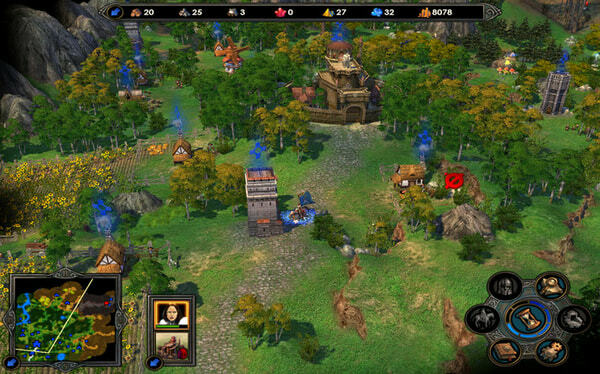 With six unique factions to choose from, each with its own set of buildings and creatures, Heroes of Might and Magic® 5 provides gamers with the strategy and detailed graphics that the series has been known for. As you progress through the game your character gains levels of experience that allow him to learn new spells and abilities. 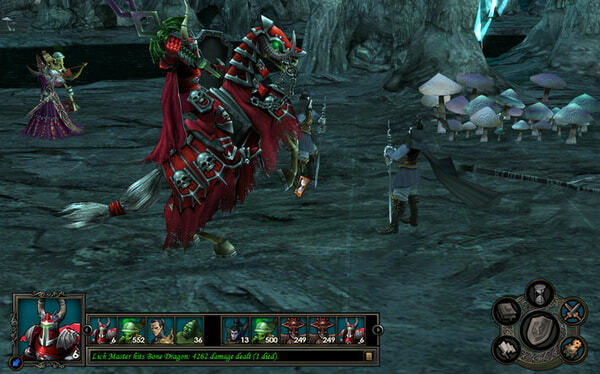 All this is set in the magical and enchanting setting of the legendary Might and Magic® universe. Heroes of Might and Magic® 5 is, without a doubt, a worthy installment of the acclaimed series. It stays true to the formula established by the previous parts of the franchise and improves upon it, creating a very entertaining title with a gripping story, an enchanting soundtrack with visuals to match, and very fluid gameplay. If you are a fan of the franchise you will not be disappointed, but if you haven’t tried Heroes of Might and Magic® games yet, then this is the perfect place to start. 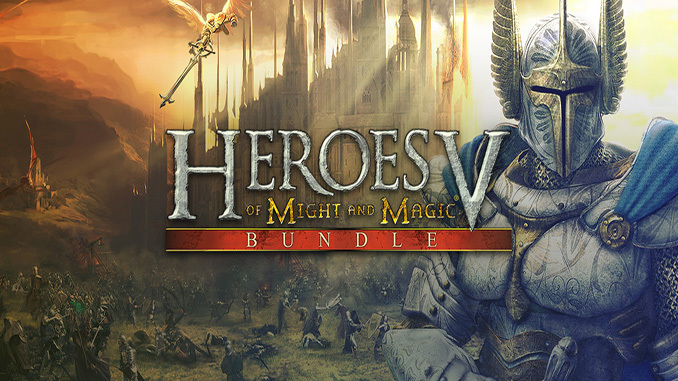 – Heroes of Might and Magic® 5 Bundle includes Heroes of Might and Magic® 5 and its two expansions: Tribes of the East and Hammers of Fate. – Thirteen campaigns bring you a deep and engaging strategy experience spanning countless hours in the fantasy world of Might and Magic®. – Exceptionally high level of immersion achieved through a synergy of beautiful visuals, enchanting music, and smooth gameplay. Heroes of Might and Magic® 5 is a turn-based strategy game in which you can build cities and besiege them, train troops and slaughter them, and explore new lands – and crush them under your iron heel. You directly command your armies on the battlefield and aid them with your character’s abilities as well as your own strategy skills. This just have Tribes of the East :(.. what about the vanilla and Hammers of Fate? The expansion pack featured numerous improvements over the base game. 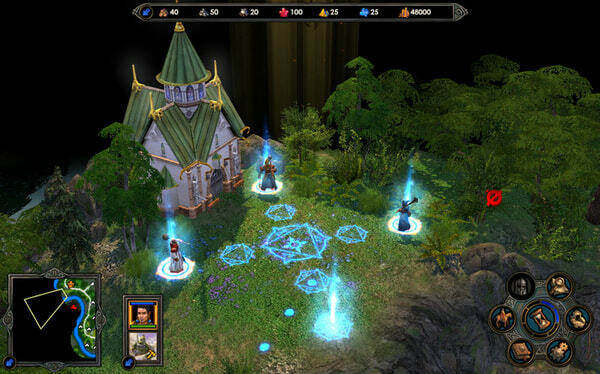 The most notable content included was the addition of the new Fortress faction, composed of Dwarves, with exclusive access to Rune Magic (which requires resources instead of mana for casting). Three new campaigns, continuing the original game’s storyline, were added, along with a selection of standalone scenarios. Fourteen new artifacts, three new creatures and additional campaign heroes were included, as well as the long-anticipated map and campaign editor which was not present in the base game (though was added in a downloadable patch). Caravans (originally seen in Heroes of Might and Magic IV), simultaneous turns in the multiplayer mode and a random map generator were also supplied. Finally, the Renegades – a sub-faction composed of seven non-recruitable creature types – were added, featuring prominently in the storyline. Thank you for all the games on here! Is there a tutorial to show me how to extract the file? is this game is available in offline? Hello the game does not work for me widows stop running him. Please make sure you meet the system requirements and have installed the needed software from microsoft like directx, visual c++ and .net framwork. You can go to our FAQs page for more info. Hi ty for all your game? Really good job ! What do you mean have you tried installing the game? Please make sure you read More Info Tab and our FAQs page to install all the needed software. Hi GoG have you Paraworld/Paraworld 2 ?this is really good games !! Love that this is available (I still have my disk.. but no laptops come with a Disk Drive anymore!) Unfortunately, it own’t accept any but the left mouse button commands, I can not zoom or change angle. where as that is my only issue, in this game.. it tends to make a difference.